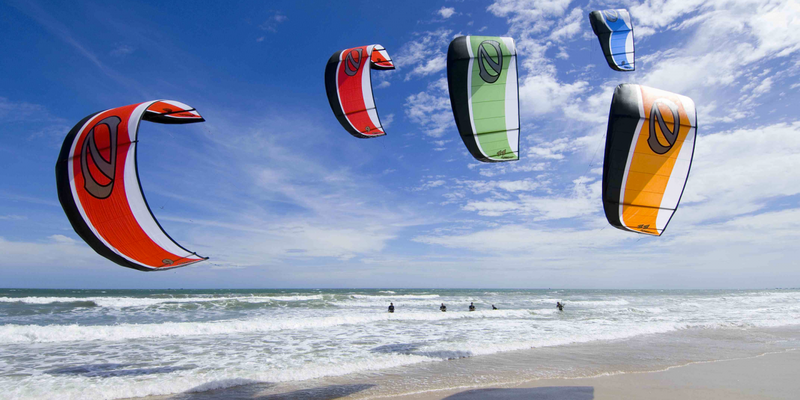 Kitesurfing is growing in every part of the world. Playa del Carmen is known because of its blue wáter, scuba diving , snorkel and fishing trips. Nowadays it is an excellent área between Middle November and end of May, to practice Kitesurf for experience kiteboarders and specially for beguinners. You can find wind around 10 knots to 25/30 knots, the good knews for kiteboarders beginners is that when you learn with different wind speeds you really understand how the kites works and technique, how to ride with light wind and strong wind, varying kite sizes learning the way to control them with the divergent range of wind. As an IKO instructor teaching and kiting in many áreas around the world I realized that kiters beginners that learn kitesurfing in strong wind they find difficult to control the kite and ride in light wind with a bigger kite and viceversa too. KITEMEX would take the compromise guiding you to the accurate spots with the precise equipment finding the perfect conditions for your best kiteboarding experience. Kitemex 2017 - All Rights Reserved.